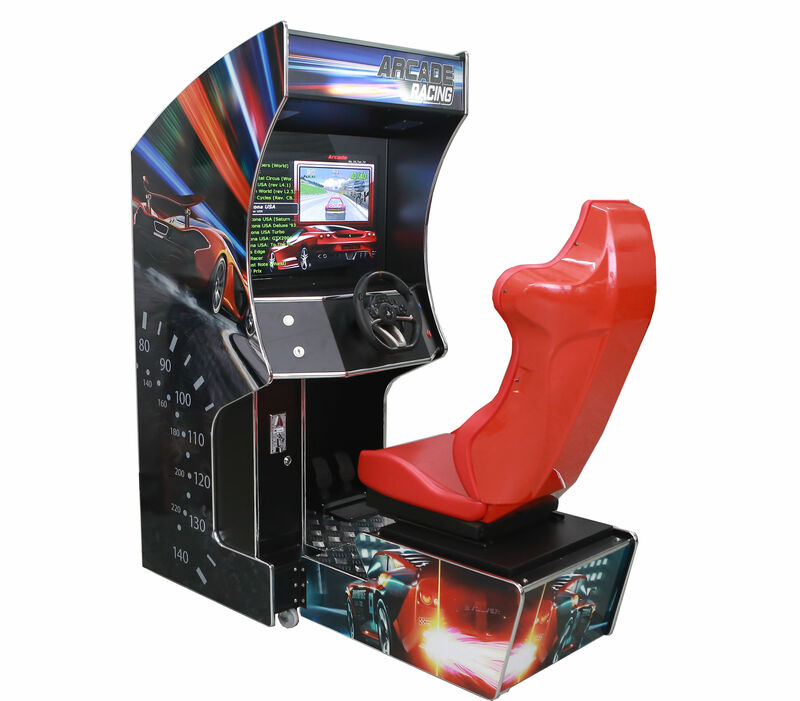 Relive 107 of your favorite Racing Games on this beautifully designed classic Racing Arcade Cabinet featuring a 32" HD LED screen, high quality steering wheel and pedals, and adjustable seat. *Shippping will be calculated based on your exact location. Typical shipping fees for this item run between $400 (midwest) to $500 (west coast). Free pickup in Columbus, Ohio (delivery is $150 within 3 hour radius of Columbus Ohio).